Vanocean is headquartered in Shenzhen, in the domestic service areas for the Guangdong Pearl River Delta, the service also covered Southern China, southwest, East China, central China, North China and Northeast China, service routes throughout the world's major ports, with 15 domestic branches, more than 80 overseas overseas agencies, for the vast number of customers door door to door service and all kinds of freight services. The domestic private networks and cooperative site: Shenzhen, Hongkong, Guangzhou, Zhongshan, Shunde, Jiangmen, Foshan, Zhanjiang, Fangcheng, Shanghai, Ningbo, Nanjing, Qingdao, Tianjin, wuhan. Vanocean International Freight Ltd. was licensed and registered in both Shenzhen and Hong Kong, with headquarters Shenzhen. Our business License No. is 4403011258302 and NVOCC NO. is MOC-NV04758. We have over 100 staffs and 17 domestic offices in China, providing oversea agents cargo forwarding services and integrated logistics services by sea/land/air , offering our best rates, our NVOCC service, local finance service and local customer services like trucking, customs broker, warehousing, marine insurance agency and buyer consolidation to oversea agents all over the world. We base ourselves on the philosophy of Human resource is substantial, Honor customers foremost, and follow the service tenet of Safety, Rapidness, Accuracy, Timeliness, Saving, Convenience and Thoughtfulness to provide you with our customized transport solutions and integrated logistics services by means of our aggressive, professional, high-efficient teams of us. We aim our services to maximize benefits for our oversea agents, and help you achieve value-added effects on your shipments. 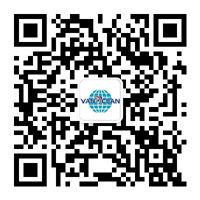 Vanocean is an integrated logistics company and provide our oversea agents with optimized logistics solution.